The Reverend J. Michael Miller (CSB) rings in the Olympic Eve with a blessing of Irish House February 11, 2010 at 4:30PM, marking the official Grand Opening of Irish House. His Grace will anoint each room with holy water and prayers to the melodious sounds of bagpipes provided by BC Regiment Irish Pipes and Drums, one of only five serving Irish regimental pipe bands in the world. Hosted by Irish House Ambassador Dave Abbott, visitors will also be treated to traditional Irish entertainment with performances by De Danaan Irish Dancers and Murphy’s Lagh Band. 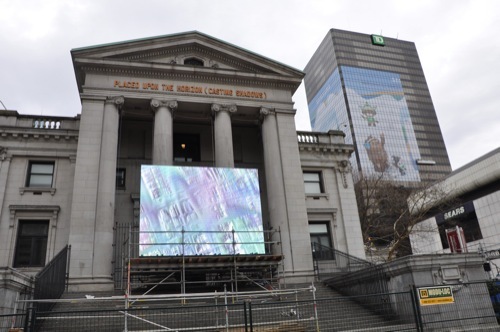 Doors open at Noon, with ceremonies commencing at 4:15PM. Minors accompanied by a parent or guardian are welcome to attend until 7PM. After the ceremony, everyone is encouraged to experience the biggest craic (party) in the city with DJ Matt and live music by The Roxy’s house band Joe’s Garage. The Austria House is a uniquie structure not only to Whistler, but to all of Canada. 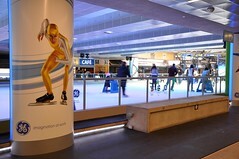 The Austrians have built what is called a Passive House to house their delagates and media crews during the 2010 Winter Games. It it the first house of its kind in Whistler and the first registered passive house in all of Canada. “A passive house is a building which is warm and cozy in winter and comfortably cool in summer. The construction is air- and windproof, thermal bridge free, the thermal insulation is particularly good, and it has also a heat recovery system and disc glazing. The construction of a passive house is very compact and if possible south facing. These houses use up to 90% less energy than conventional constructions, and expend a minimum amount of energy. Passive houses are constructed according to state-of-the-art building physics: they are airtight, particularly well insulated and use natural resources like sunlight and terrestrial heat for energy generation and calorific requirements. A passive house is the most intelligent answer to the difficult situation in the global energy sector. Due to the passive house’s minimal need for fossil fuels, it has its share in reducing CO2 emissions globally and therefore also prevents damage to our climate. Once the Games have passed, the Austrian government, Resort Municipality of Whistler and Whistler Blackcomb Foundation will leave a lasting legacy by giving this passive house back to the community. The excited new tenants, the Whistler Off Road Cycling Association (WORCA), are looking forward to having the opportunity to make their home here. 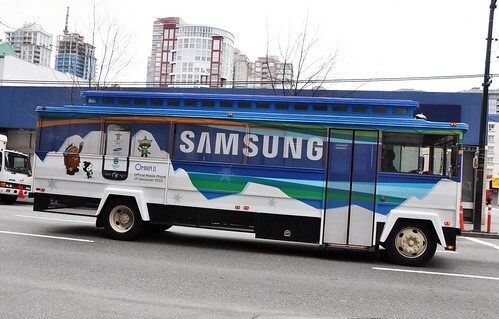 Vancouver is in for a rare treat when the Russian tall ship, the Krusenstern, is expected to arrive in the city, carrying the flag and delegates of the Sochi 2014 Winter Games organizing committee. 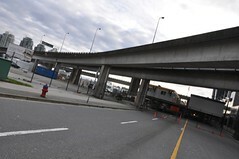 The ship is expected to arrive at Vancouver’s Burrard Drydock on February 10th. The ship will be open for public tours a few days a week and they are hoping to obtain a permit to offer short cruises to the public for a fee. 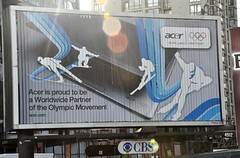 The ship’s intent is to promote the next Winter Games in Sochi, Russia in 2014. 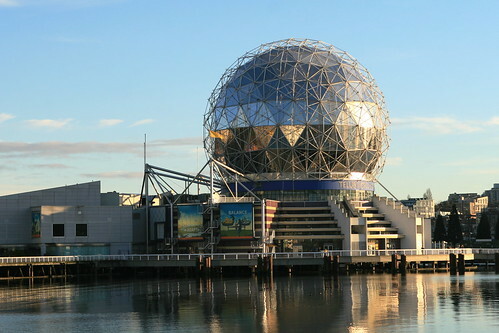 The Russians will be using the Telus World of Science, in False Creek, as their cultural house during the upcoming Games. The Kruzenstern is a four-masted Russian barque and tall ship, built in 1926 in Germany. She was given to the USSR in 1946 as war reparation and renamed after the early 19th century Baltic German explorer in Russian service, Adam Johann Krusenstern. If you have the opportunity to check out the ship while she is moored in Vancouver, I would highly recommend it. She is one of the tallest sailing ships in the world with a height of over 51 meters, requiring the captain to bring her into the inner harbour at low tide, in order to clear the Lions Gate Bridge with a 10 meter clearance. 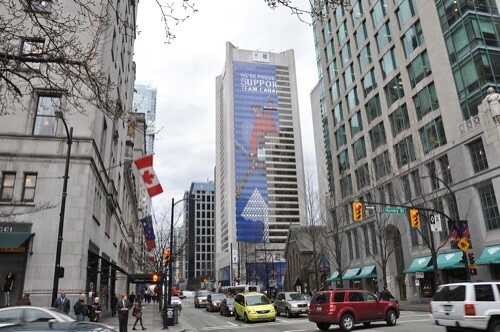 Vancity is buzzing with activities in preparation and anticipation for the coming Winter Games. 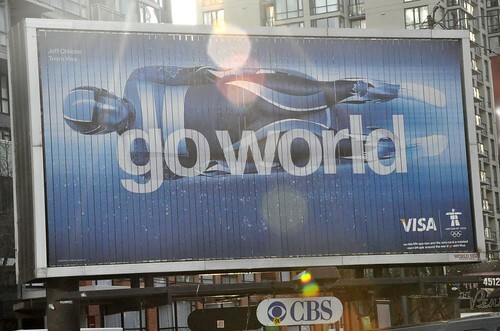 In 22 days, Vancouver will host the world with Glowing hearts! 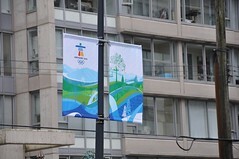 Flags and banners are starting to appear in all corners of the city. 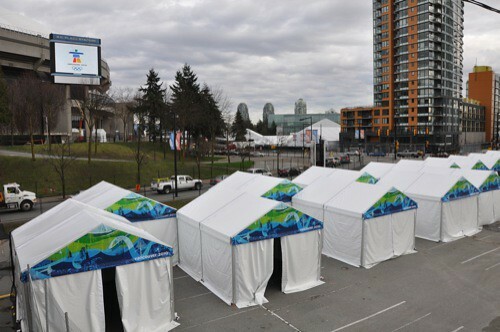 VANOC venue access tents (aka security check points) are being erected, these can be found just on the west side of BC Place, one of the main entrance for the 2010 Opening and Closing Ceremonies as well as for the Nightly Victory Ceremonies. 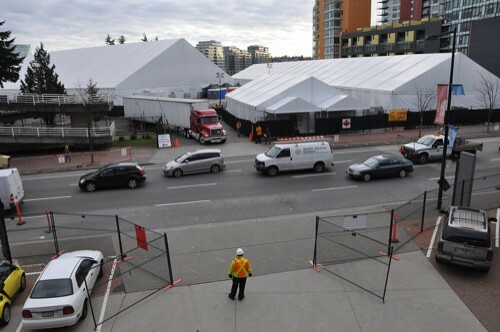 Deliveries are arriving, as seen here on Pacific Avenue, across from BC Place. 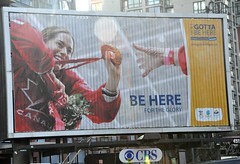 Fan gathering places are starting to pop up all over the city. 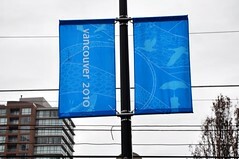 Two examples seen here at Library Square on Georgia and Homer as well as at the Vancouver Art Gallery on Robson and Hornby. 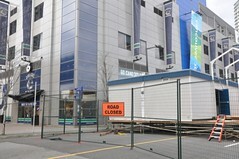 Roads are being closed all over the city, these photos taken around GM Place. 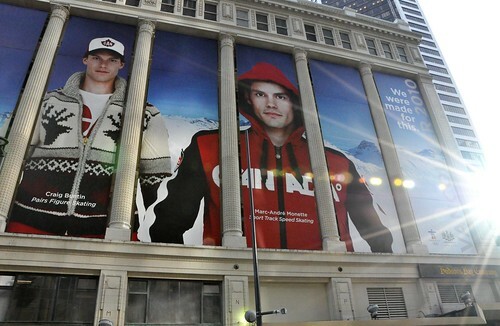 Games sponsors are making themselves known as they manifest themselves on the sides of entire buildings and on various billboards. 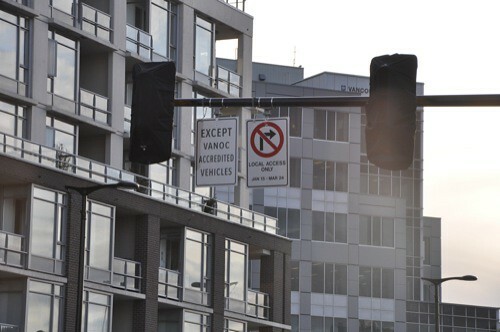 This one partially completed can be seen from the corner of Hornby and Georgia. 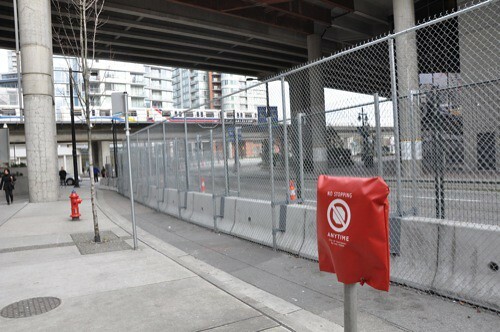 Fences are going up and security is starting to tighten, as you can see here at GM Place, just outside the Costco entrance. 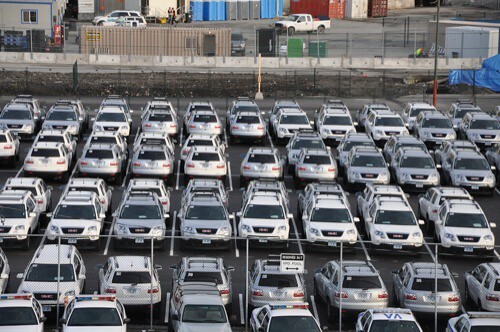 GM’s fleet of sponsored vehicles is ready to crawl the city. 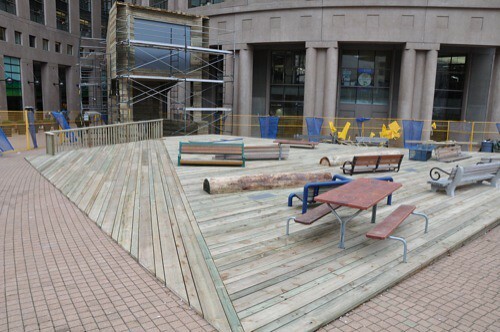 Stages are being built for upcoming entertainment acts. 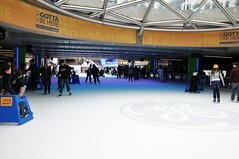 This one is found beside the skating rink at Robson Square. 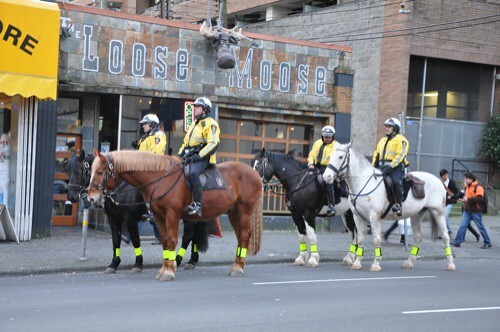 And of course we have the Vancouver Police Department roaming the streets on horseback! 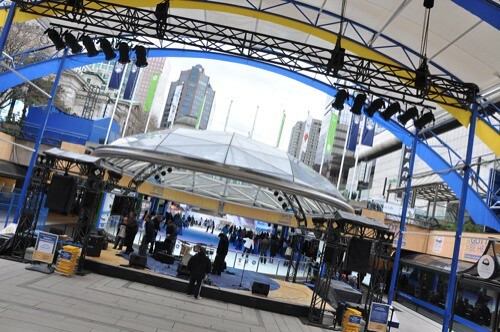 With three weeks remaining before the world visits our beautiful city, I’m sure we will continue to see the city transform for this exciting world event!